Students of politics might remember the name Gill from The Blueprint, the account of how leftist interests flipped the state of Colorado from Republican to Democrat control. Tim Gill was one of the driving forces and strategists behind the effort and spent a considerable amount of time and money to turn Colorado blue. And if the leaked information is correct, we now have Gill and company turning their attention to Texas. 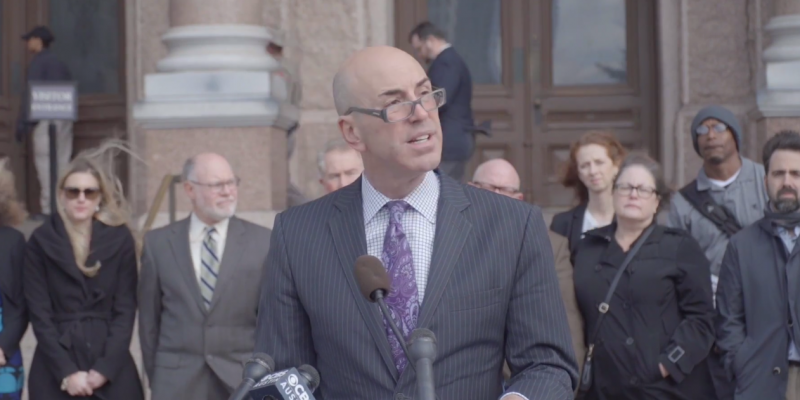 Arguments against the ‘bathroom bills‘ currently swirling around in Austin carry much more weight with legislators, business leaders, and the public if put forward under the name Texas Association of Business, rather than under the names of LGBT advocacy groups. Thus it makes sense from an advocacy perspective for Gill and his allied organizations to encourage TAB to front their cause, and donate significant amounts of money to do so. The information about the donations may surprise some conservatives and Republicans in Texas, but it probably shouldn’t. Activists like Gill don’t appear to be concerned with the spotlight, or with taking credit publicly for policy wins. Their names aren’t well known, and they aren’t getting out in front of cameras every chance they get. Instead, they quietly figure out the most effective ways to employ their time and money in advancing a cause. And as we can see from the case of Colorado, it works. It is also interesting to note that there is nothing remotely comparable to this strategy on the right. Texans will remember ACORN and the accompanying scandals that ultimately forced its closure. Many of the same people employed by ACORN then formed the Texas Organizing Project, causing critics to charge that it was ACORN in all but name. In spite of its less than stellar track record and its difficult relationship with Democrats in Texas, Battleground Texas is still working in Texas communities. Efforts from groups like these naturally supplement the work of the Democratic party, even if there isn’t outright coordination and cooperation between them. Their efforts, combined with funding and guidance from donors like Gill, steadily influence and shape the culture, which in turn influences the political landscape. Meanwhile, there are no comparable grassroots groups (or even Astroturf groups) on the right that are advocating for conservative causes or issues. There are no armies from Republican-allied groups promoting the Republican platform issues being debated in the special session right now, no low-profile donor groups funding challenges to elected officials with whom they disagree. There is a lot of noise, a lot of political positioning, but not much else. And the culture continues to shift. The right has few Gills if any. There is no serious effort to learn from tactics such as these silent and strategic donations discovered by Empower Texans. Reporting Gill’s donations grab headlines for a few days. Adopting Gill’s tactics and strategic thinking would go much farther in advancing a conservative agenda in Texas.